While the very first game in the NBA Live series that I played was NBA Live 95 on Super Nintendo, the very first game in the series that I owned was NBA Live 96 on PC. I actually remember going out to my then-favourite video game store to buy it, and I still have the original box. In fact, I even took the box with me to the NBA Live 16 community event back in July to show to the developers, which they seemed to get a kick out of. I was also actually hoping to get a picture holding the NBA Live 96, NBA Live 06, and NBA Live 16 boxes, but unfortunately there wasn’t a Live 16 box readily available while I was at the EA Tiburon studio. It’s also set in one of my favourite seasons, and as I’ve mentioned once or twice before, it was the game that led me to discovering the NLSC back in the day. 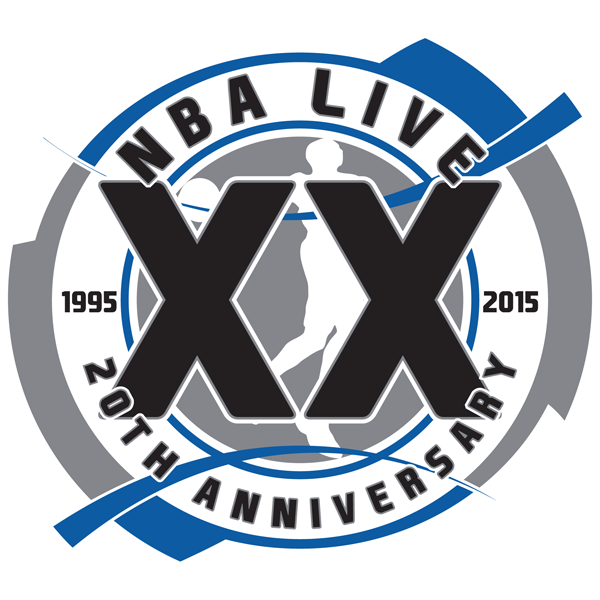 But aside from sentimentality, why is NBA Live 96 one of my favourites? Well, while it didn’t show the same improvement over NBA Live 95 that Live 95 did over NBA Showdown, it still had great gameplay for its time. It was the first game in the series with Create-a-Player and inactive rosters, not to mention multiple camera angles. It had a memorable jazzy soundtrack that always makes me feel nostalgic when I hear it. 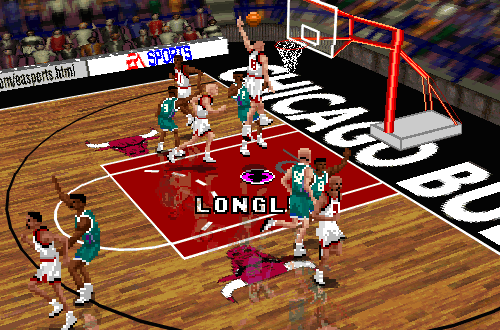 Even if it isn’t head and shoulders better than NBA Live 95, it is, at the very least, just as good. A classic in its own right, and most definitely a favourite of mine. For a while there, NBA Live 2000 on PC would have been a popular pick for the best game in the NBA Live series, and for good reason. At the time, and for at least a few years afterwards, it really was the pinnacle of the series. Max out the graphics settings, and they’re pretty impressive for the era. The gameplay and presentation is outdated now, but it was starting to resemble what we’re familiar with today. Graphics patching was really starting to take off around that time, and a lot of us really had fun with NBA Live 2000. That was largely due to the debut of Franchise Mode, the first time we had a proper multi-season mode in NBA Live. EA Sports had tested the waters with a single season GM Mode in NBA Live 98, and a very basic multi-season mode in NBA Live 99, but NBA Live 2000 gave us what we’d been wanting for years: free agency, salaries, the Rookie Draft…it was all there. Fun to play and with a brand new immersive mode to enjoy, NBA Live 2000 is a game that I certainly can’t leave out of my Top 5. In its day, it was one of the best basketball games available, and it still stands out as a milestone game; not just in the NBA Live series, but in the whole genre, period. 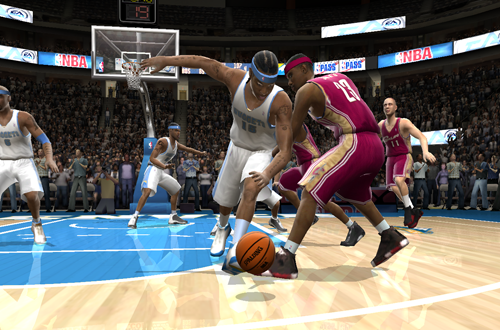 It’s not that I didn’t have any fun with NBA Live 2001, NBA Live 2002, or NBA Live 2003 – and 2003 was a very significant release, introducing right stick dribbling to the series – but in their own way, they were all notably flawed releases. NBA Live 2004 wasn’t perfect, but after a few missteps in the years immediately before it, it was a very strong comeback for the series. I’m mentioning both the PC and PS2 version here, as I played them both extensively, and they were more or less identical. The PC version was obviously patchable, while the PS2 version had the EA Sports Bio, which unlocked content the longer you played the game. Unusually for me, I probably played the PS2 version of NBA Live 2004 a bit more than the PC version, or at the very least, just as much. The reason for that? The PS2 version came out first, and I got hooked playing the newly revamped Dynasty Mode. Franchise Mode had been fun, but Dynasty Mode took things to the next level, with features that hadn’t been seen before, and a couple that haven’t been seen since, such as Dynasty cutscenes. 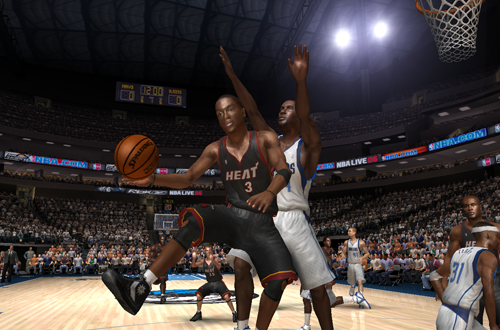 NBA Live 2004 was also the first game in the series to feature gameplay sliders, and they were a very welcome addition. An all-time favourite of mine, and a great game that still holds up respectably well today. NBA Live 2005 on PC (or PlayStation 2, or Xbox) is a game that seems to make the top five or top ten lists of a lot of long-time basketball gamers. There’s a good reason for that: it’s a fantastic game. Solid sim-style gameplay that could be effectively tweaked with sliders for even better performance, a robust Dynasty Mode, another step forward in graphics…in NBA Live 2005, EA Sports took a game that had been great the year before, and somehow made it even better. 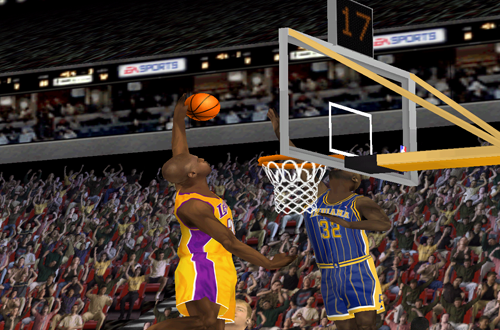 As with NBA Showdown 94 and NBA Live 95 a decade earlier, the series had achieved one of the biggest year-to-year leaps we’d seen in basketball gaming. Once again, that’s NBA Live 06 on PC, not Xbox 360. We’ll certainly talk about that when we get there. In any event, the PC version of NBA Live 06 is my favourite game in the series so far, as I feel it’s the most well-rounded release, without some of the game-breaking issues of the titles that followed it. The graphics were very good, and the gameplay was more than satisfactory, in my opinion. With a few slider tweaks, it was even better. Dynasty Mode had some key improvements, particularly in terms of hiring your staff. All-Star Weekend remained in the game. And yes, NBA Live 06 on PC was quite patcher-friendly, too. Say what you will about Freestyle Superstars – and it does have its drawbacks – but for a first genuine attempt at implementing player differentiation and signature styles, it was a step in the right direction. It was a little cheesy at times, but it could also be turned off if you so desired. I had a very memorable Dynasty game with the Bulls in NBA Live 06, one that I’ve picked up again a couple of times in recent years. I’ve been able to do that because the game is still very playable, even ten years later. NBA Live 06 PC concluded a very strong three year run for the NBA Live series, and it still ranks as not only my favourite NBA Live release, but one of my all-time favourite basketball games. Without a doubt, number one in my countdown. So, there you have it: my favourite games in the NBA Live series. Once again, full retrospectives will be coming for every game in the series including those five, with NBA Live 96 being next in line. In the meantime, what’s your take on my Top 5? 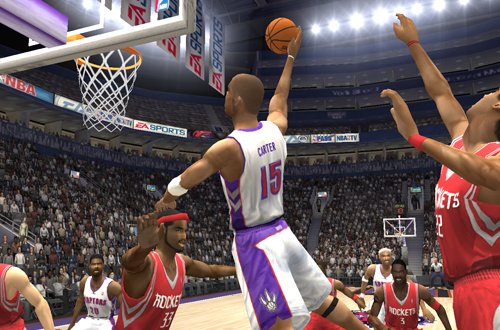 What are your Top 5 favourite NBA Live games? Let me know in the comments below, and as always, feel free to take the discussion to the NLSC Forum! That’s all for this week, so thanks for checking in, have a great weekend, and please join me again next Friday for another Five. Nba lives 01-06 were my favourites, when I think back live 04 was the best I’d played. Had good game play/sliders and roster editing plus the starting intros just like 2k has done on the ps4 this year. Absolutely. As I said, NBA Live 2004-06 on PC was a very strong three year period for the series. I loved the nba live’s on the ps2 and PC I was very very disappointed when they went next gen onto the ps3 which is what I bought mine for solely for nba live but I started to find 2k a far better game around that time. I didn’t really get into 2K until 2K11, and even then, I wasn’t really comfortable with the controls until NBA 2K13. As it stands, I still feel that NBA Live has the better, and less convoluted approach to controls. I’d disagree about NBA Live 06, except perhaps FSS, but as I said those abilities could be disabled anyway. NBA Live 2005 is fantastic game of course, which is right up there on that list. However, I don’t know about it having better lighting effects out of the box; they won’t bad, but the glow is certainly a bit unnatural. A few tweaks, and it’s definitely a great looking game. Both are definitely better than 07 and 08, which were very flawed releases, 08 especially. Good choice. 🙂 I definitely would’ve liked to have continued making the roster updates for NBA Live 06, but fewer people were downloading them, and it’s a lot of time and work to put into something with a diminishing userbase.